The 2016 Mazda MX-5 Miata powered by a 155 horsepower 2.0-liter SKYACTIV engine will start at $25,735 (including $820 destination charge) in entry-level Sport trim. The 2016 MX-5 launches this summer and will be available in Sport, Club and Grand Touring trim levels. Mazda's fourth-generation flagship roadster is shorter than the first-generation MX-5 that came to the U.S. in 1989, yet wider than the outgoing model and with its engine lower and farther back in its chassis. The MX-5 has standard features that include a six-speed manual transmission, LED headlights, USB audio input, Bluetooth phone and audio streaming, a leather-wrapped shift knob and power door locks. Lincoln Continental Concept, an all-new full-size sedan coming next year with a new 3.0-liter V6 EcoBoost Engine and Lincoln Drive Control that offers a choice of normal, sport and comfort driving modes. Features include an SPD SmartGlass® tinting sunroof blocking 99 percent of UV rays, the premium audio Revel Ultima System, E-Latch door handles, Approach Detection that lights up the car inside and out to greet you, fully reclining rear seats when the empty front passenger seat is repositioned, a rear-seat tablet lap tray that deploys from the center console, interior ambient lighting, a champagne storage compartment, and Venetian leather first-class travel cases. The Concept will debut this week at the New York International Auto Show. The new Mercedes-Benz GLE, formerly ML, is offered as the GLE350 and GLE350 4MATIC with a 302 horsepower V6 engine, the GLE400 4MATIC powered by a 329 horsepower direct-injection twin-turbo V6 engine, the GLE550e 4MATIC plug-in hybrid with the 329 horsepower V6 direct-injection gasoline engine combined with a 114 horsepower electric motor, the GLE300d with a 201 horsepower four-cylinder diesel engine, the high-performance Mercedes-AMG GLE63 4MATIC with a 550 horsepower 5.5-liter twin-turbo V8 engine and the GLE63 4MATIC S-model houses a 577 horsepower version of the V8 engine. The towing capacity of the GLE is up to 7700 lbs on non-diesel models. 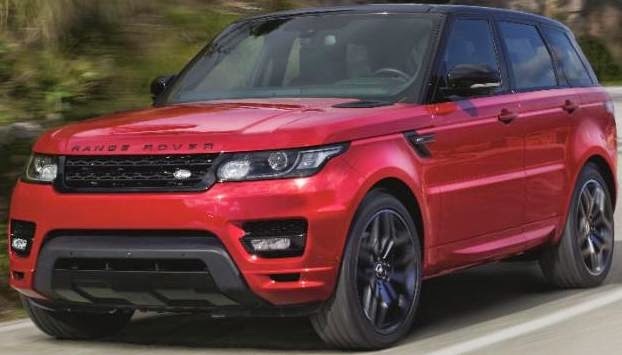 2016 Range Rover Sport HST features a 380 horsepower 3.0-liter supercharged V6 engine and a new Gesture Tailgate and Automatic Access Height. Aston Martin Vulcan, a track only, front mid-engine rear-wheel drive sports car with an 800-plus horsepower 7.0-liter V12 engine. The next-generation 2016 Chevrolet Malibu, using an entirely new architecture is expected to be 300 pounds lighter and sits on a wheelbase nearly four inches longer than the outgoing model increasing rear legroom and interior space. The 2016 Malibu with more efficiency, connectivity and advanced safety features will debut in early April at the New York International Auto Show and is expected to go on sale by the end of 2015. The BMW X5 xDrive40e plug-in hybrid Sports Activity Vehicle, combines the 240 horsepower 2.0-liter TwinPower Turbo four-cylinder engine with an 111 horsepower electric motor, powered by a lithium-ion battery, integrated into its 8-speed automatic transmission and goes approximately 13 miles on pure electric power. The BMW X5 xDrive40e goes from 0 to 60 mph in 6.5 seconds to an electronically limited top speed of 130 mph. In all-electric drive mode the vehicle is capable of an electronically limited top speed of 75 mph. It takes approximately 2 hours and 45 minutes to fully recharge an empty battery pack. All of the optional extras for the BMW X5 range are available, with the exception of the third row of seats, the Adaptive M Suspension, Active Steering and comfort seats in the rear. The BMW X5 xDrive40e options include xLine and Luxury Line for the exterior and interior. The plug-in hybrid model can also be ordered with M Sport as well as the Ivory White and Mocha Interior Design Packages. The 2016 Nissan GT-R supercar, now on sale for $103,365 (including $1,595 destination and handling) for the 550 horsepower 3.8-liter twin turbo V6 engine GT-R Premium model, $113,105 for the 550 horsepower GT-R Black Edition and $151,585 for the 600 horsepower GT-R NISMO available in very limited numbers in North America. The all-new Kia Optima, the brand’s best-selling vehicle in the U.S. for three years running, will be revealed at New York International Auto Show April 1st, five years after it's 2010 New York debut. Bugatti Veyron 16.4 Grand Sport Vitesse “La Finale”, the fastest production supercar in the world with an 1,183 horsepower 8 liter 16-cylinder W configuration mid-engine with four turbochargers and mated to a dual-clutch transmission, is the last of the 450 Veyron supercars which began production in 2005. 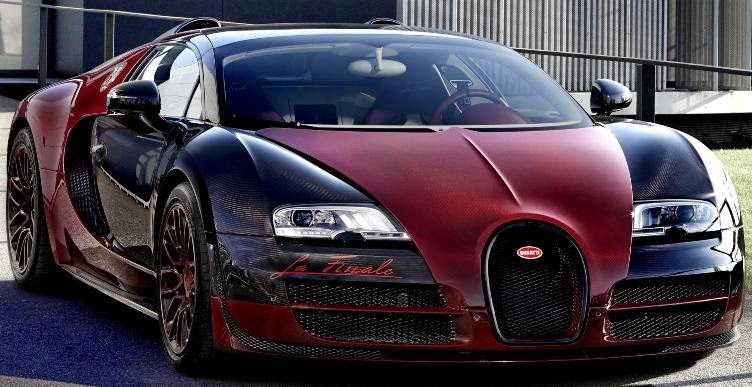 It sprints from zero to 100 km/h (62 mph) in just 2.6 seconds and can achieve a top speed of 255 mph. All of the planned 450 vehicles have now been sold: 300 coupés and 150 convertible super sports cars. 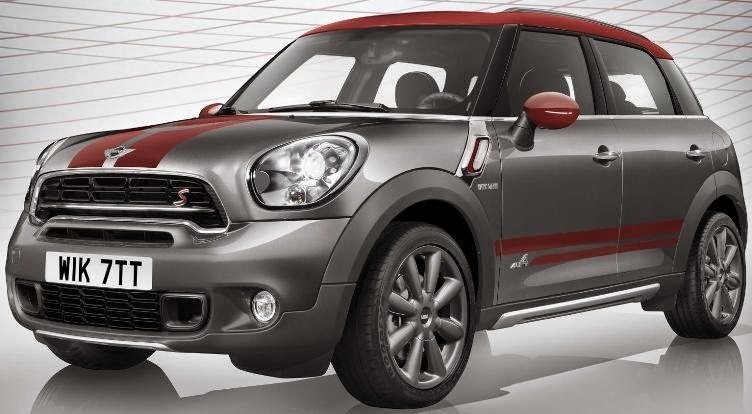 The MINI Countryman Park Lane, an exclusive edition model of the brand with five seats including a sliding rear seat and a folding backrest with a 40:20:40 split, is offered in the 208 horsepower MINI Cooper Countryman, the 181 horsepower MINI Cooper S Countryman and the MINI Cooper S Countryman ALL4 with all-wheel drive. 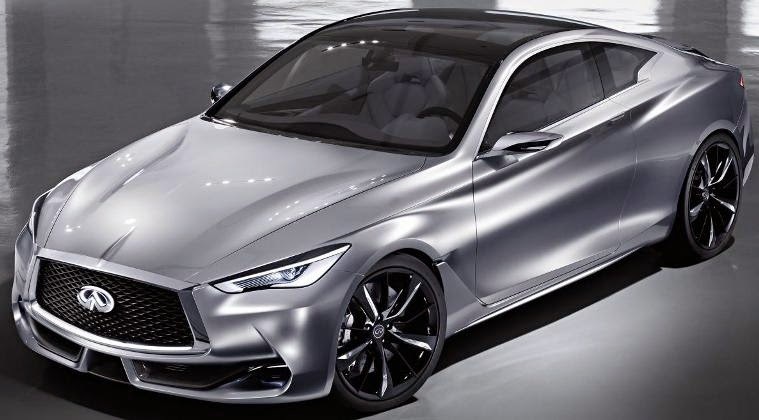 Infiniti Q60 Concept, a two-door concept is 184.6 inches long with the next-generation 3.0-liter V6 engine with direct injection and twin-turbocharging.and hints at Infiniti's next sports coupe. Infiniti QX30 Concept, the design vision that will inspire a new all-wheel drive premium compact crossover. The permanent all-wheel drive Lamborghini Aventador LP 750-4 Superveloce with a naturally aspirated 750 horsepower 6.5 liter V12 engine accelerates from 0 to 100 km/h (62 mph) in 2.8 seconds and powers on to reach a top speed of more than 217 mph and will have its market introduction in late this Spring for a price of more than $350,000. Bentley EXP 10 Speed 6 concept high performance two seater sportscar. The Volkswagen Golf SportWagen, goes on sale in U.S. dealerships in April, starting at $21,395 (excluding transportation, taxes, title, options, and dealer charges) for the 1.8T S model with a 170-horsepower 1.8-liter turbocharged and direct-injection four-cylinder TSI® engine mated to a five-speed manual manual transmission with an EPA estimated highway fuel economy of 36 mpg. The TDI Clean Diesel model is powered by the new 150 horsepower 2.0-liter turbocharged and direct-injection diesel engine, driving the front wheels through either a six-speed manual or a six-speed DSG® dual-clutch automatic transmission. For the manual transmission model fuel economy is 43 mpg and for the automatic transmission model it's 42 mpg. At 179.6 inches long and 70.8 inches wide, the Golf SportWagen is 1.1 inches and 0.7 inches larger than the Jetta SportWagen. The Golf SportWagen SE starts at $26,995, only available with the six-speed automatic transmission, Golf SportWagen 1.8T SEL, the top gasoline-powered SportWagen trim starts at $29,345. The base TDI S starts at $24,595 and offers a six-speed manual transmission. Golf SportWagen TDI SE starts at $27,995 with the DSG transmission an $1,100 option. Golf SportWagen TDI SEL starts at $30,345. General Motors dealers in the United States delivered 231,378 vehicles last month, up 4 percent compared to a year ago. Year-to-date sales of 434,164, is 10.3 percent higher than a year ago. Ford Motor Company U.S. sales totaled 180,383 vehicles in February, down 1.9 percent from a year ago. Year-to-date sales are 358,734, up 5.9 from 2014. Toyota, Scion and Lexus reported total February 2015 sales results of 180,467, an increase of 13.3 percent from February 2014. Year-to-date sales for Toyota and Lexus is 349,661, a gain of 14.4 percent over 2014. FCA US (Fiat Chrysler) reported U.S. sales of 163,586, a 6 percent increase compared with sales in February 2014 and the best February sales since 2007. Year-to-date sales of 308,593 is 9 percent higher than the first two months of 2014. Nissan Group announced total U.S. sales for February 2015 of 118,436 units, up 2.7 percent year-over-year and a February record. Year-to-date Nissan and Infiniti brand sales are 222,543, an 8.1 percent rise over a year ago. American Honda reported February Honda and Acura vehicle sales of 105,466, an increase of 5.0 percent versus February 2014. The Honda Division sold 92,474 vehicles in February, an increase of 4.1 percent for the month. The Acura brand posted sales of 12,992 units in February, rising 12.5 percent over the same period last year. Hyundai Motor America reported its best February ever, selling 52,505, up 7 percent versus the same period last year. Year-to-date sales of 97,010, a 4.3 percent increase from 2014. Kia Motors America reported February sales of 44,030 vehicles, up 6.8 percent over the same period last year. Year-to-date sales of 82,329, is a 5.2 percent gain over last year. Volkswagen of America reported sales of 25,710, down 5.2 percent from 2014, Year-to-date VW sales are 49,214, a decrease of 2.8 percent from last year. Separately, Audi reported that its February 2015 sales increased 5.3 percent to 11,455 vehicles. Through the first two months of 2015, Audi U.S. sales rose 9.6 percent from a year earlier to 22,996 vehicles. Subaru of America reported record sales for February 2015 totaling 41,358 vehicles, an 18.5 percent gain over February 2014. Year-to-date sales of 82,170, a 21 percent gain over the same period in 2014. The BMW Group in the U.S. (BMW and MINI combined) reported February sales of 28,921, an increase of 18.2 percent from the same month a year ago. Sales of BMW brand vehicles increased 14.5 percent in February for a total of 25,201 compared to February, 2014. Mercedes-Benz reported the highest February sales in its history with 23,616, up 4.5 percent from February 2014. Sprinter Vans was up 17.9 percent at 1,675, combining with 458 units at smart for a monthly total of 25,749 for Mercedes-Benz USA. On a year-to-date basis, Mercedes-Benz recorded sales of 48,235, an increase of 6.7 percent versus the same period last year. Adding 3,180 units for Sprinter and 950 vehicles at smart, MBUSA's year-to-date sales volume totaled 52,365. Mazda North American Operations reported February U.S. sales of 25,650 vehicles, representing an increase of 5.4 percent versus last year. Year-to-date sales through February are up 6.4 percent versus last year, with 45,921 vehicles sold. Mitsubishi Motors North America reported February 2015 vehicle sales of 7,533, a 26 percent sales increase from February 2014. Year-to-date sales are up 29.3 percent from the same period last year. Jaguar Land Rover North America reported February 2015 U.S. sales for both brands of 6,327, a 14 percent increase from February 2014 bringing year-to-date sales up 11 percent from 2014. Land Rover February sales reached 4,917, up 23 percent from February 2014 while Jaguar sales were 1,410, down 9 percent from February 2014. Volvo Cars of North America reported U.S. sales of 4,012, a 0.5 percent increase versus February 2014. Year-to-date sales are up 0.3 percent over the first two months of 2014. Porsche Cars North America announced February 2015 sales of 3,202, down 30 units compared to February 2014. Vehicle supply was adversely affected by the west coast port dispute and inclement weather in many areas. PCNA sales remain 12.8 percent higher year-to-date compared to the same period last year.